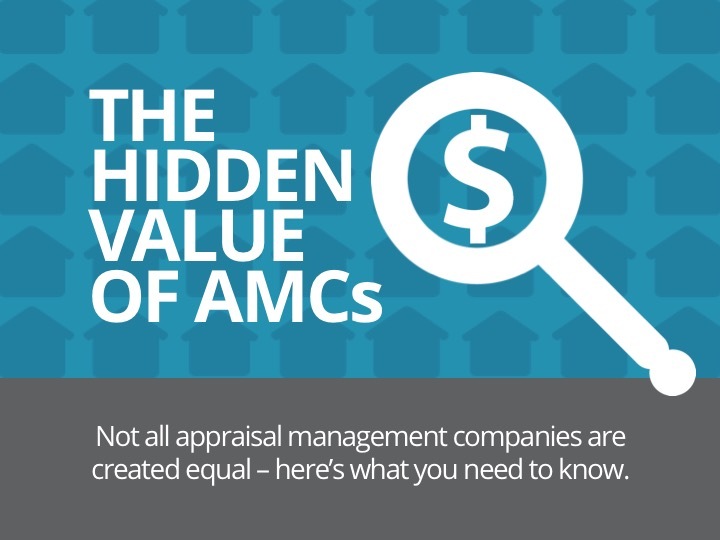 Not all appraisal management companies are created equal – here’s what you need to know. But while you may be nodding your head in agreement, you know deep down that some AMCs are different. The best AMCs actually deliver a lot of value – so how do you identify the good ones? Find out by downloading our new eBook: “The Hidden Value of AMCs.” Just complete this short form to gain instant access to the eBook and feel free to share it with your colleagues. Don’t want to complete the download form? Email us at askAG@accurategroup.com and we’ll send you a copy.